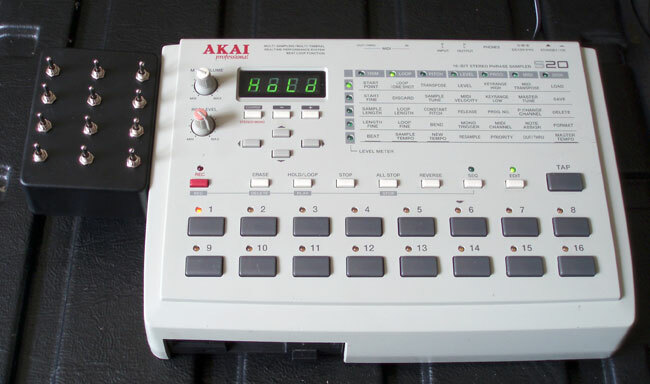 The Akai S20 is an interesting machine, and one of those occassions where Akai got everything more or less exactly right. Its not a classic like the S1000 or S3000XL, but then it was never meant to be. The S20 was intended more as a DJ tool (the inputs and outputs are phono sockets) for quick and simple sampling and looping, and at that it excels. 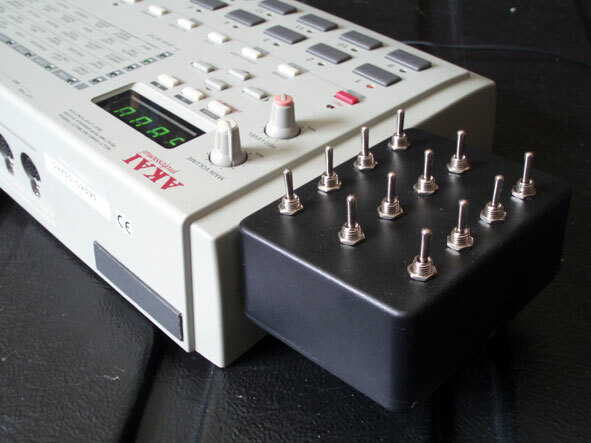 Its a 16 bit stereo sampler with up to 16MB onboard memory (131 seconds stereo sampling time) with the ability to hold 16 samples in memory at once. For storage theres a standard floppy drive in the front.. Editing and looping is quick and intuitive with the ability to assign a bpm and number of bars to a loop and then have the S20 speed it up and slow it down automatically to fit the bpm entered manually or via the TAP tempo button. This is a very handy feature when attempting to beat match a sample or loop. You can also reverse samples on the fly and build up layers of loops using the loop hold function, or if you prefer to work in a more complex way it has a basic 4 track sequencer and full midi, with the ability to automatically map a sample across all the pads at different notes. 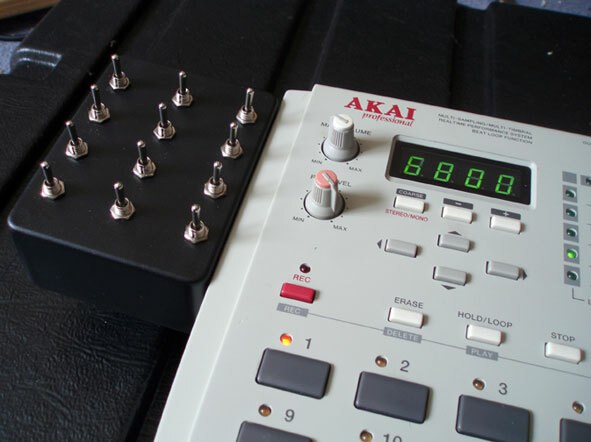 The S20 is never going to stand up against something like an MPC2000XL, but as a tool for quickly sampling, looping and dropping sounds into a mix it does the job perfectly and with as little fuss as possible. What more can you ask from a hardware sampler? With 12 switches and 24 different bend points you have the ability to connect up to 12 different sources together via the bend bus at any one time in thousands of different combinations. 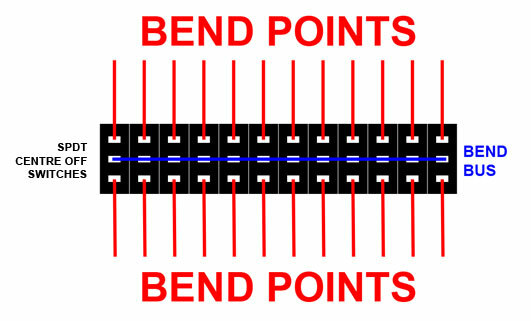 Each bend point has a different effect and will also change its effect depending on which other points its connected to at the time. Effects ranging from comb filters, ring modulation, bit crushing, distortion, bizarre time stretching, EQ, and what can only be described as audio smearing™ are easily produced. This machine is also superb at chopping and rearranging loops like they've been through a major Recycle session at the hands of a amphetamine crazed lunatic. You'll often find that if you have more than one sample in memory the machine will start splicing and chopping loops together in all manner of unlikely ways. 99% of the time the sounds aren't permanently effected by all this audio savaging and will return to normal without any switches activated. Using stereo samples the effects get even more extreme with random fragments of sample panned wildly across the stereo field at different speeds and pitches or each side of the stereo sample having different effects applied to it for some massively wide and chunky alien sounds. There is no other processing on these demos other than that supplied by the bend bus switching matrix. If you want your S20 modded get in touch using the CONTACT form.